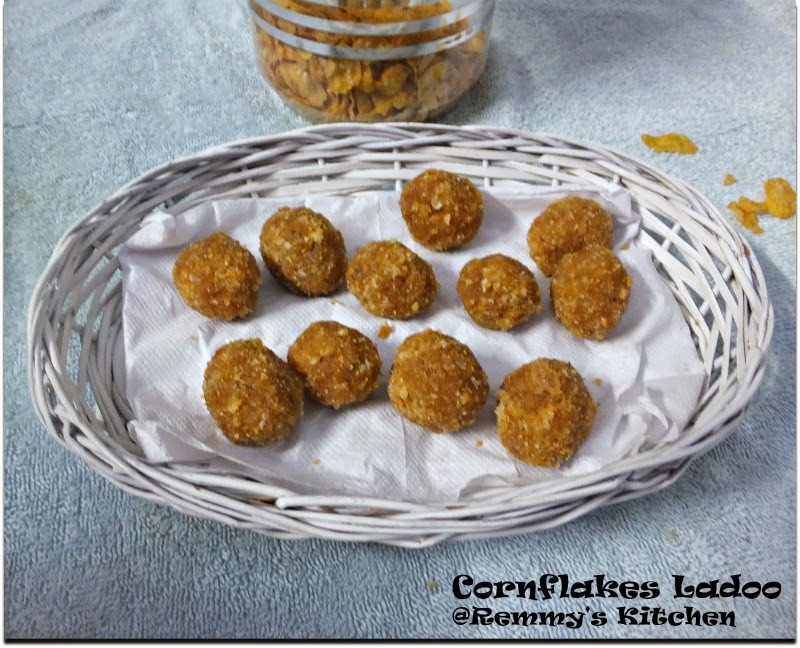 Cornflkes ladoo is an easy to prepare dessert with less ingredients. 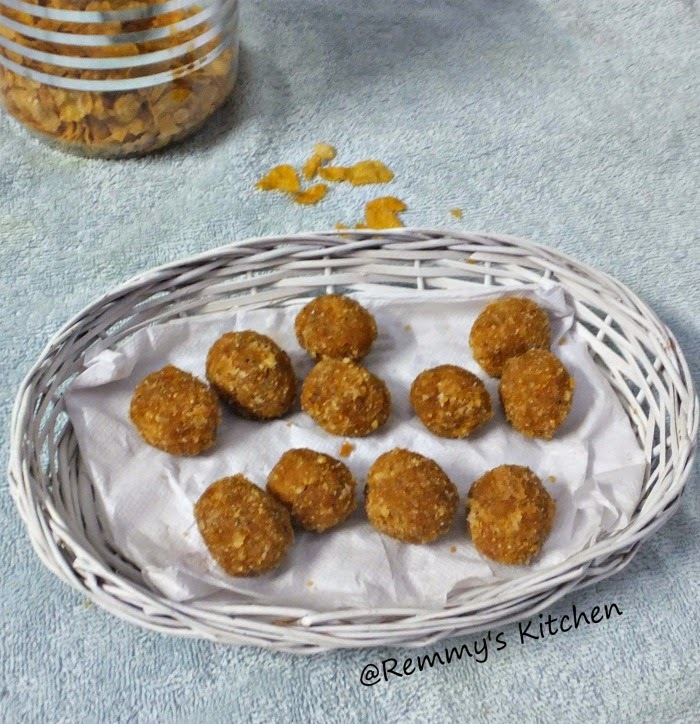 Dry roast cornflakes for few seconds . Now add sugar,cardamom,and cashews to it. Grind it in to smooth powder. Now to the same pan add grated coocnut and roast it for few seconds. Now add powdered cornflakes mixture and mix it well. Add ghee and mix it again.Now Switch off the stove. If you are using more ghee you can avoid milk. 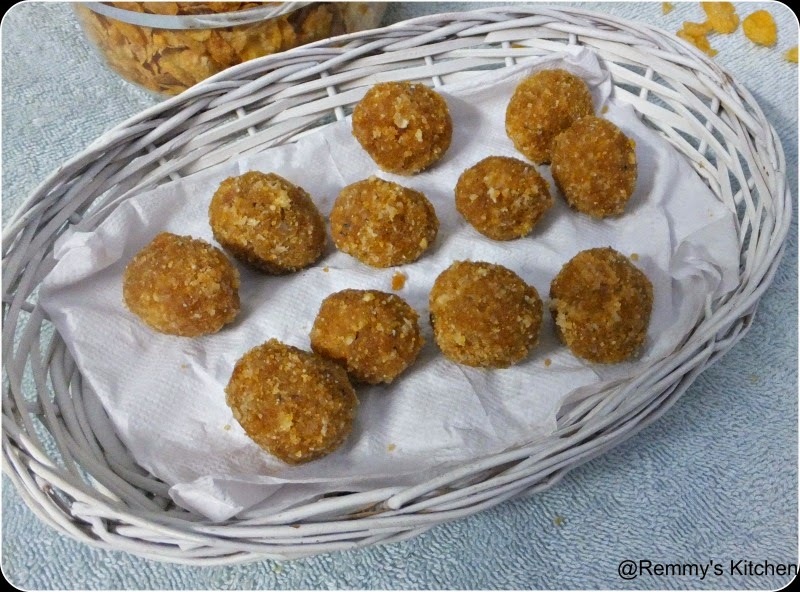 good an healthy finger food dear..
Thats a different yummy Ladoo..
these cornflakes ladoos must be so crunchy and yummy. A good treat for kids and adults.